Ty Martin joins us to discuss his role in the documentary “Before You Know it,” directed by PJ Raval. The documentary follows three gay senior citizens as each navigates the challenges and the beauty of aging. 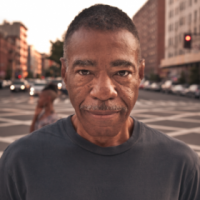 Martin is an active outreach member of Services & Advocacy for Gay, Lesbian, Bisexual, and Transgender Elders in Harlem, NY. During the interview, he reflects on the filming process as well as the immense change he has witnessed in his lifetime, from the Stonewall riots to the recent fall of DOMA. Hosted by Mahima Chablani.